Offering self-contained apartments at 1 and 2-bedroom prices, Oceans Resort is the premier destination. Each apartment has a modern, fully equipped kitchen with a microwave, fridge/freezer, ceramic hob, oven and dishwasher. Full laundry facilities include a washer, dryer, iron and ironing board. Spacious bathrooms with a shower and bath. The living area is open plan and you will find a CD/DVD player and Sky TV. 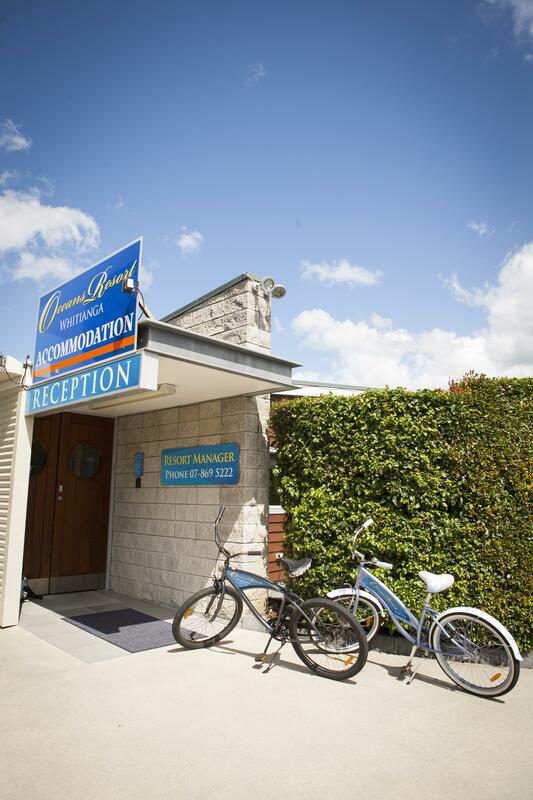 Located on the eastern shore of the Coromandel Peninsula in the beautiful Mercury Bay, and just a stones throw from Buffalo Beach, you will find quality beachside accommodation at Oceans Resort Whitianga. Our apartments can sleep from 1 to 6 people with a range of bedding configurations available at competitive prices. The resort itself offers a heated pool, tennis court and childrens playground. Take our private walkway to the beach. Our chef can prepare a delicious cooked or continental breakfast, which can be enjoyed in the comfort of your own apartment. Our modern conference venue suits any corporate occasion, board meeting, corporate retreat, exhibition, or private function for up to 80 people. On-site catering makes your next function a breeze to arrange. If you are looking for a professional venue on the Coromandel Peninsula, contact Oceans Resort for a tailored package..